The Meucci family and Staff give welcome you to these introductory pages. We hope to share our passion for this region and our culture of hospitality. 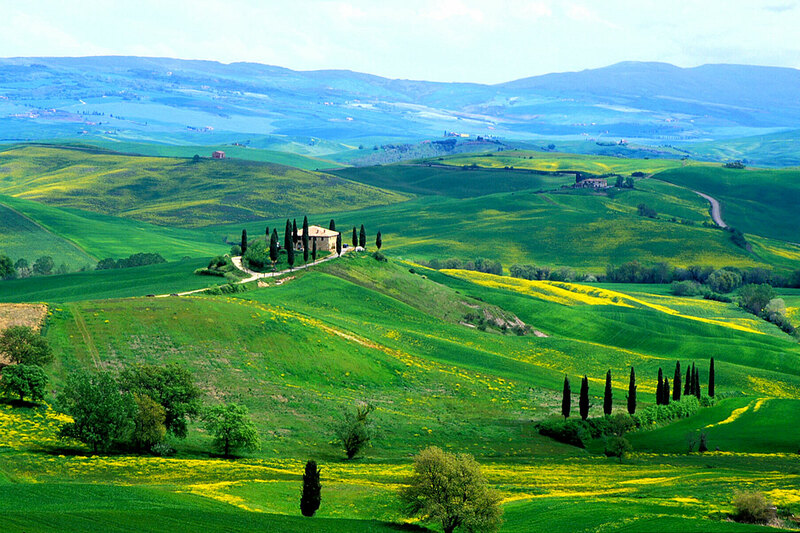 Our Hotel stands among the hills of the Chianti, the Val d’Orcia and the Crete Senesi, just a few kilometres from art cities such as Siena, Arezzo, Cortona, Montalcino, Pienza and Perugia. 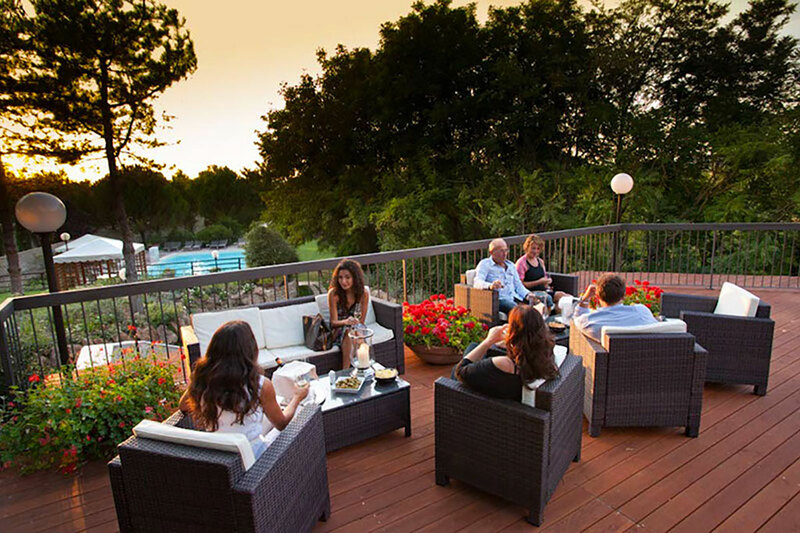 On the outskirts of the village of Rapolano Terme, which makes for a pleasant stroll, the Hotel is in an ideal position for those wishing to either explore the many suggestive Tuscan villages or simply spend the day lounging in a wonderfully relaxing atmosphere. Guided by sixty years of experience in the hotel business, we have created a warm, friendly atmosphere while ensuring privacy and professional service. We aim to meet your every need, each year making improvements that astound even our returning guests. A large private garden surrounds the Hotel: perfumed aromatic plants, trees, both stately old and new, flowers and colourful bushes form the backdrop for a pleasant stroll. A lush green lawn leads to the outdoor freshwater swimming pool and to charming corners from which to enjoy the colours and sounds of nature that vary with the seasons. We have different types of rooms designed to meet your needs for comfort and services, in an atmosphere of total well-being. An ideal room for conferences, business meetings, special events and incentives. 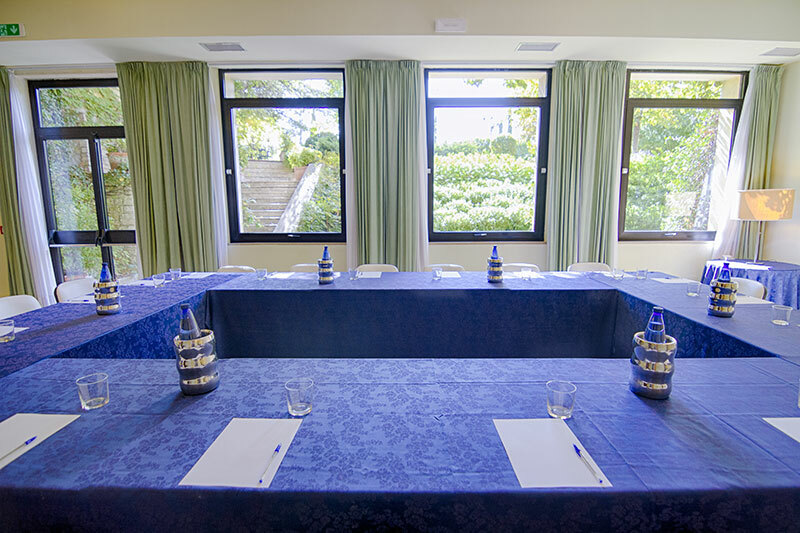 Our Hotel provides a spacious, bright conference room that is fully equipped and also has an independent entrance. 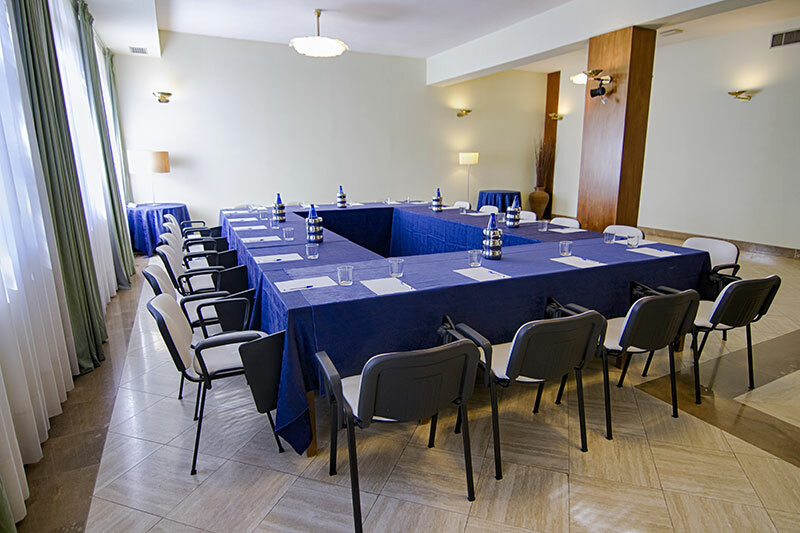 You can organize conferences for up to 70 participants, arranging things to suit your needs and using the equipment that is always available on site.